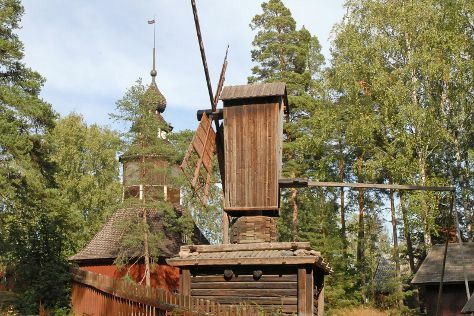 Seurasaari Island and Open-Air Museum and Mannerheim Museum will appeal to history buffs. Discover out-of-the-way places like Katajanokka and Aurinkolahti Beach. And it doesn't end there: admire the masterpieces at Kansallisgalleria, take in the architecture and atmosphere at Helsinki Cathedral, test your problem-solving skills at popular escape rooms, and learn more about the world around you at Natural History Museum (Luonnontieteellinen Museo). To see reviews, where to stay, other places to visit, and more tourist information, you can read our Helsinki trip itinerary planner . If you are flying in from Russia, the closest major airport is Helsinki Vantaa Airport. In December, plan for daily highs up to 3°C, and evening lows to -3°C. Cap off your sightseeing on the 9th (Sun) early enough to travel back home.